No matter who you are, I'm sure that the phrase "I got broads in Atlanta" is familiar to you, even if you can't place it at first. Of course, it's from "Panda" from rapper Desiigner, and you'll probably hear it everywhere for the rest of time, so hopefully you're feeling the trap track. 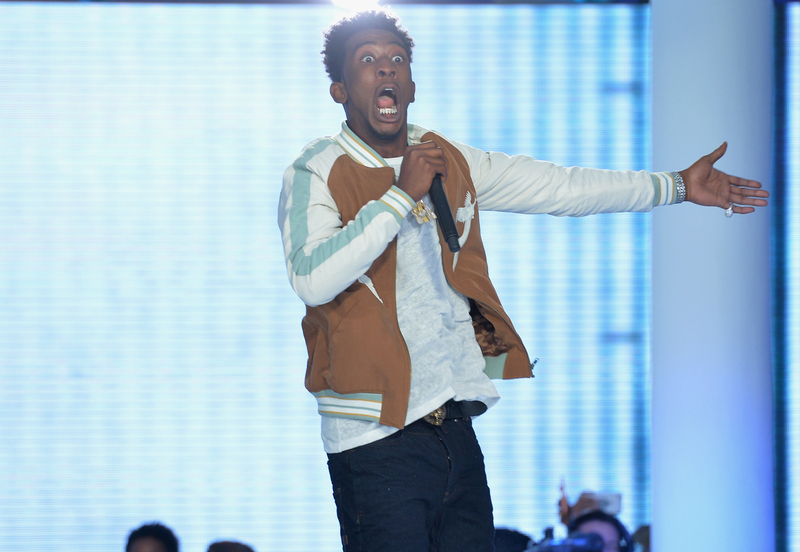 Desiigner, aka Sidney Selby III, put out "Panda" last fall when Kanye West himself heard it and had to have it. Yeezy featured a sample of the song on "Father Stretch My Hands Part 2" from his album The Life Of Pablo, but not before signing Desiigner to his label G.O.O.D. Music. But are the up-and-coming Desiigner and Kanye West friends? Desiigner says he and Yeezy are more like brothers. True to himself, West scheduled his first meeting with the Brooklyn-born rapper in a parked car at Los Angeles International Airport, according to an interview Desiigner did with The Fader. Fitting, as "Panda" is about Desiigner's car that literally resembles a panda, and which he thought of while playing Grand Theft Auto. Overarching themes! That was back in February 2016. Since being on West's label, Desiigner has put in a lot of face time with the rapper and says the two of them are very close. He told Billboard in April, "I see [Kanye West] a lot right now, he’s my man and we doin’ a whole lot of things right now. Kanye, that’s my man." If you didn't catch that: Kanye is Desiigner's man. After he performed "Panda" at the 2016 BET Awards, Desiigner sat down with Hot 97 and talked more about his relationship with Yeezy and his experience at G.O.O.D. Music so far. He called West "a big brother" and said, "If I got something to ask him, definitely I’ll ask him. I always have my own artist ideas and he has his own artist ideas. We put it together, man. We both artists." I would love to be someone with unlimited access to Kanye West and unlimited permission to ask him questions. I hope Desiigner takes advantage of that, and not just creatively, but asks, like, what Kanye's favorite cereal is or how he really feels about late capitalism. So what brotherly advice has Yeezy given his new protege? In his interview with The Fader right after he got signed to West's label, Desiigner talked about the feel of G.O.O.D Music and shared some of West's infinite wisdom: "You're a piece of art basically. You're here to deliver art. You're not a rapper, you're an artist, that's one thing that Kanye always said." That sounds like the Kanye West I know and love. West also made an appearance in Desiigner's music video for "Panda," taking a joy ride with the younger rapper. And in the ultimate show of closeness: Desiigner just got his own emoji pack, and a cartoon version of big bro Kanye West is right there alongside the rapper, a bunch of "broads in Atlanta," as it were, and Timmy Turner. And of course, several varieties of pandas.